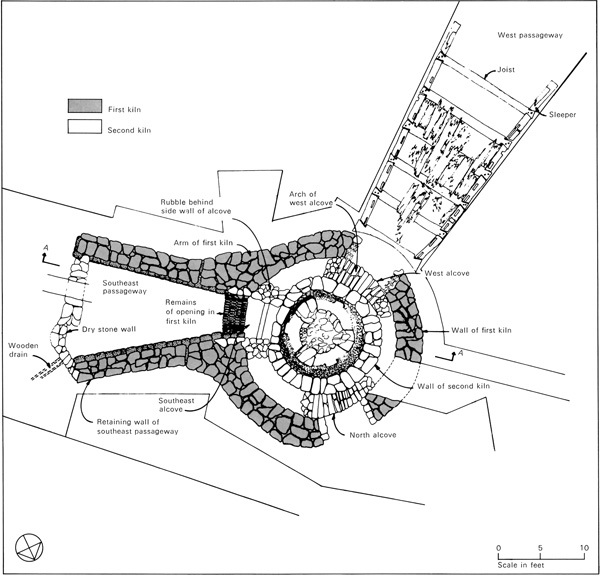 2 An idealised flare kiln. 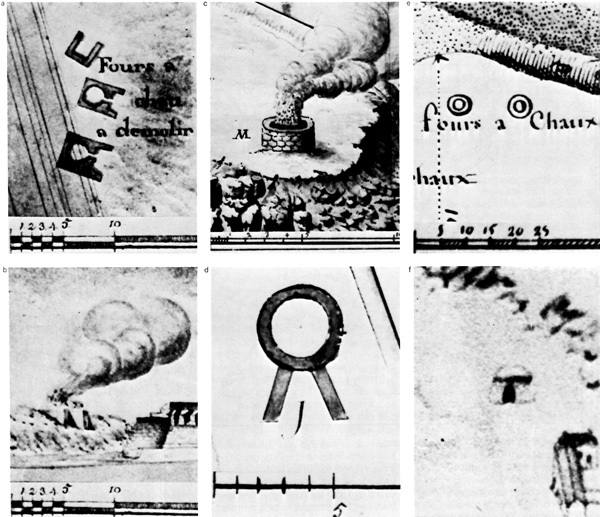 3 Flare kilns from various regions of France. 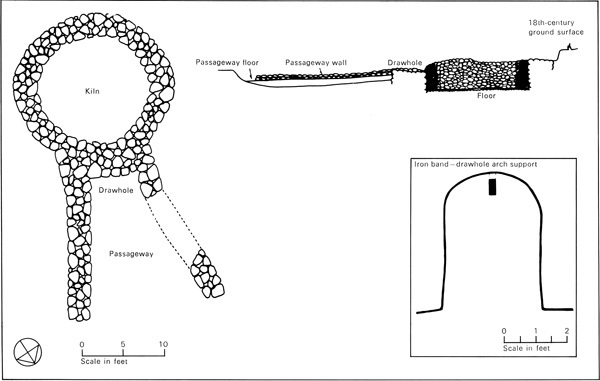 4 A flare kiln from Alsace. 5 A running kiln from Flanders. 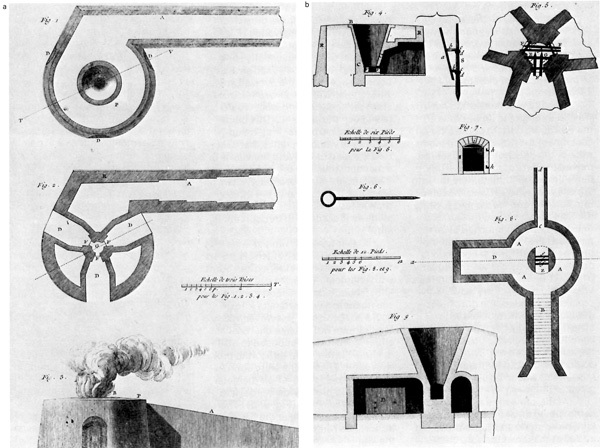 6 Running kilns from various regions of France. 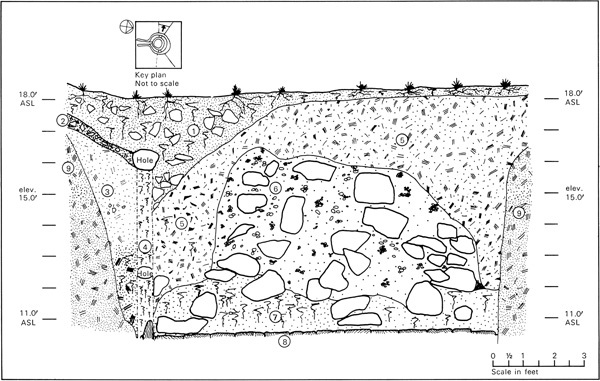 7 Plan and cross-section of slaking pits. 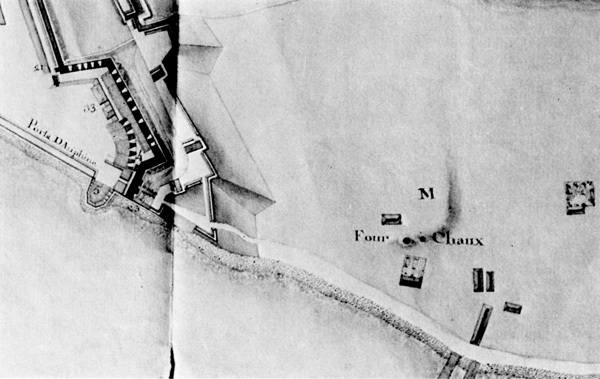 8 1757 plan of the faubourg showing the lime-kiln. 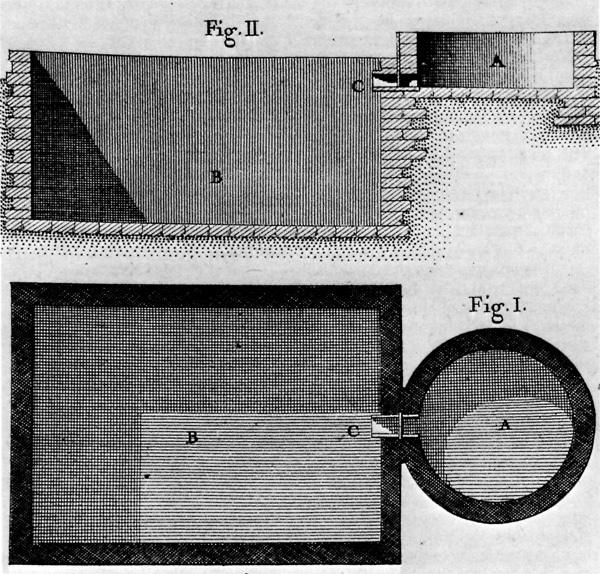 9 Plan of the faubourg lime-kiln. 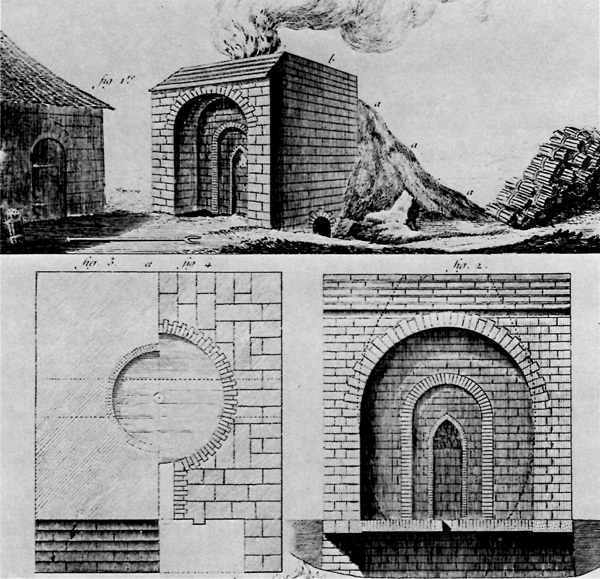 10 Section through the faubourg lime-kiln. 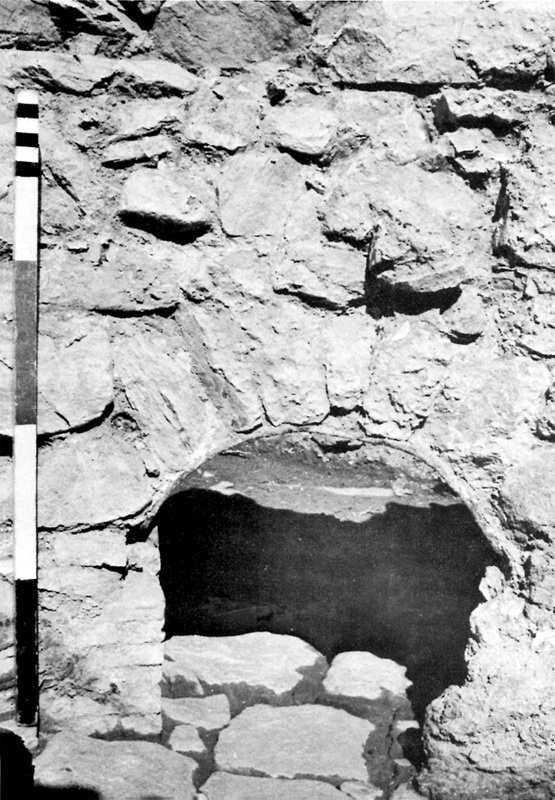 11 General view of the faubourg lime-kiln after excavation. 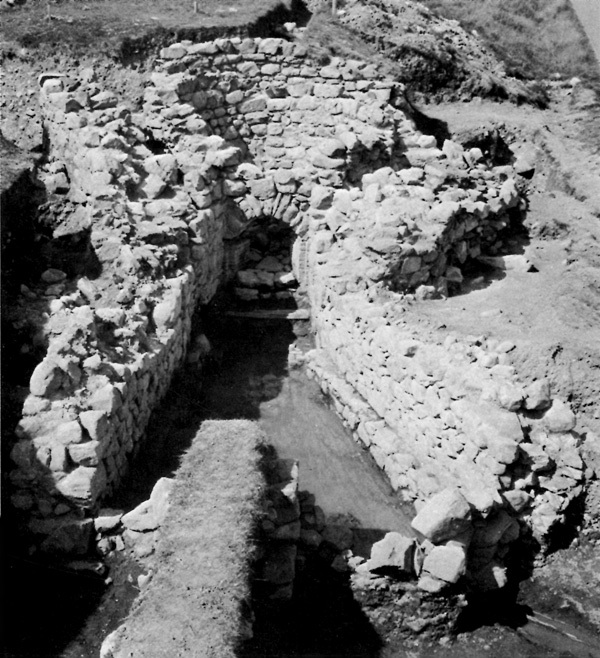 12 Section along the southeast passageway. 14 The north drawhole from inside the second kiln. 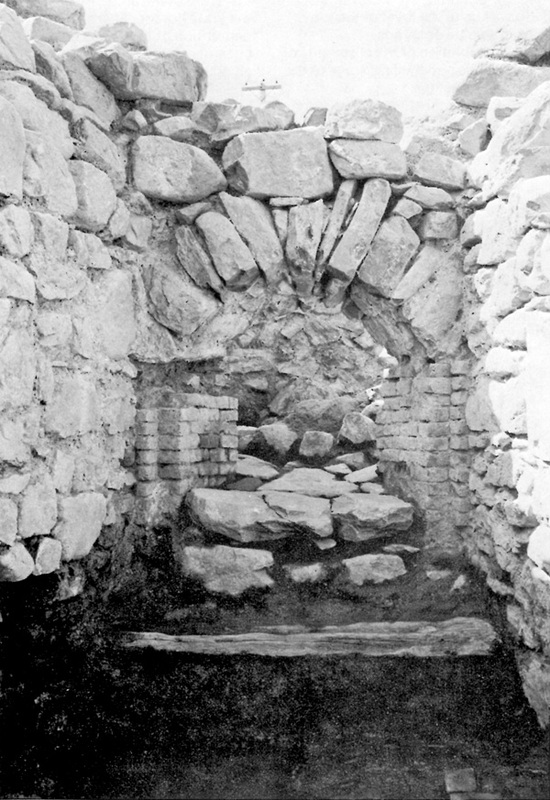 15 The west passageway, alcove and drawhole of the second kiln. 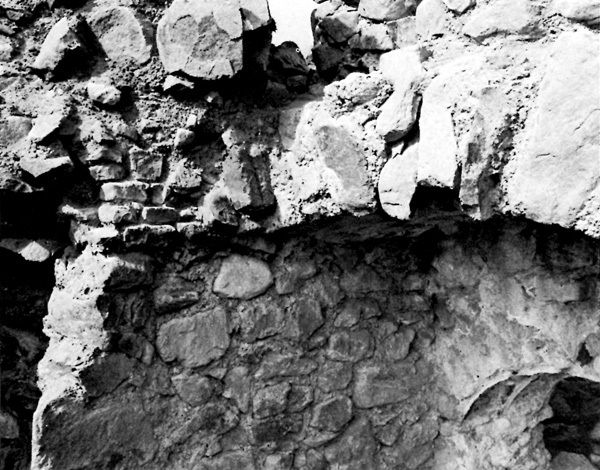 16 The southeast drawhole of the second kiln. 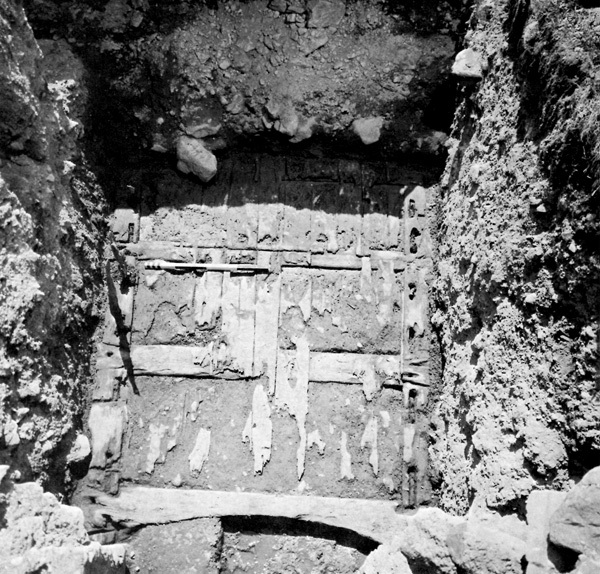 17 Iron bands supporting the arch of the west drawhole. 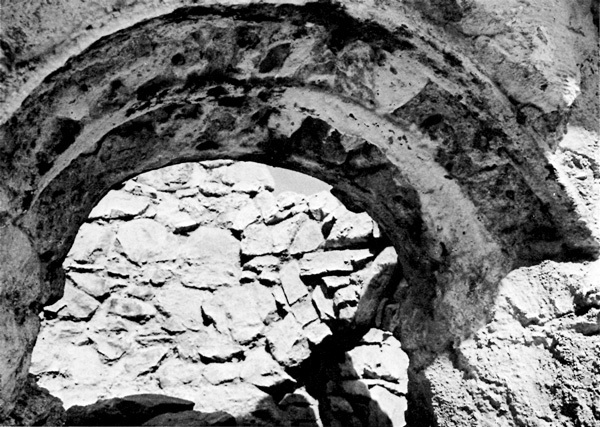 18 Brick springer of the arch over the breach of the west drawhole. 19 Part of the wooden floor of the west passageway. 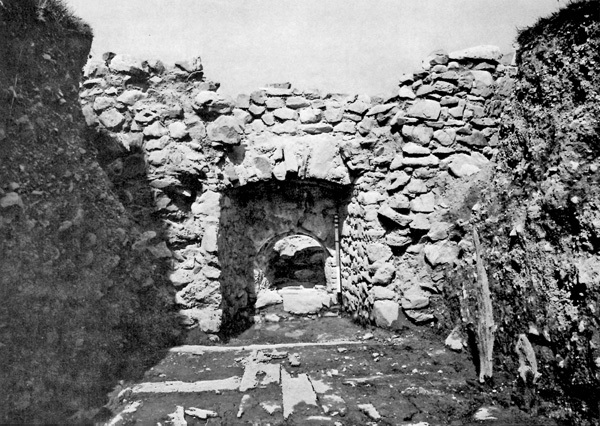 20 Section through the west passageway. 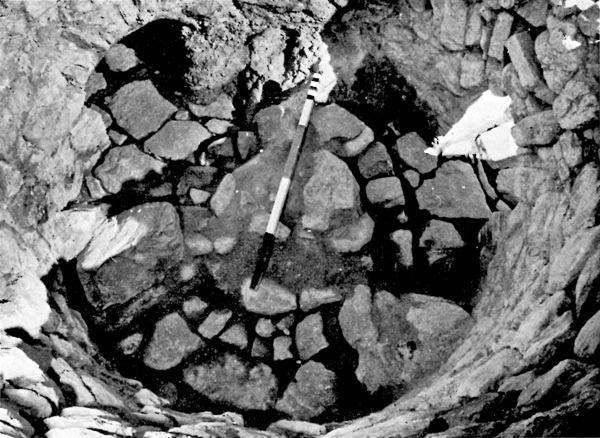 21 The floor of the second kiln. 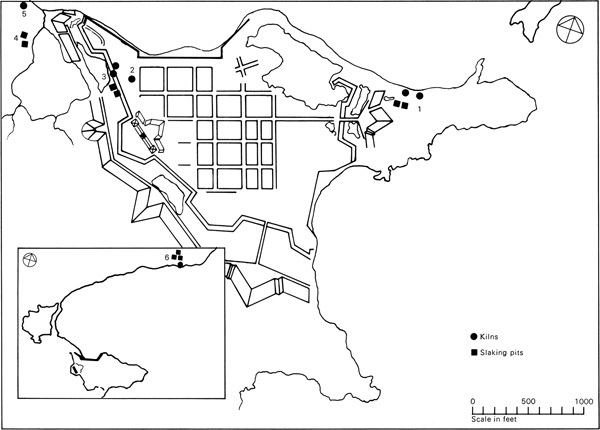 22 Distribution map of lime-kilns and slaking pits at Louisbourg. 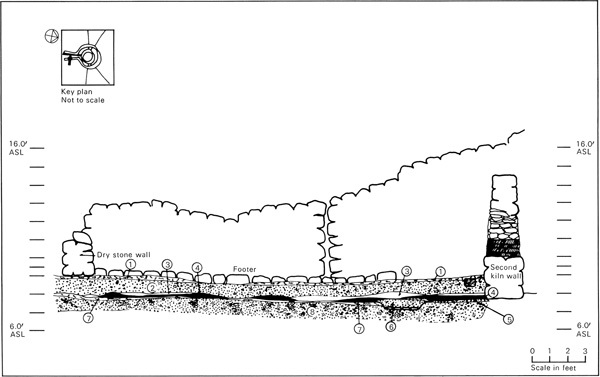 23 Historical drawings of lime-kilns at Louisbourg. 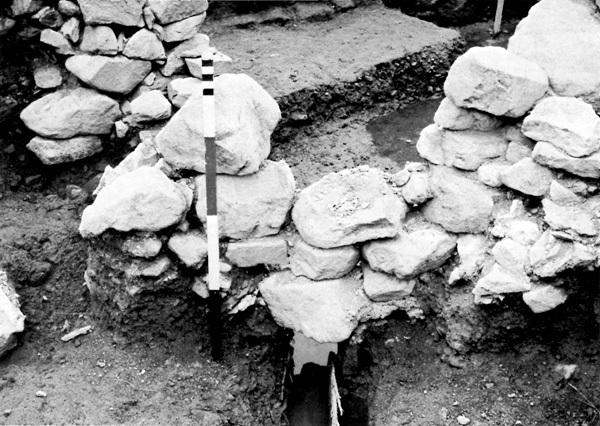 24 Remains of the excavated lime-kiln west of Block I. 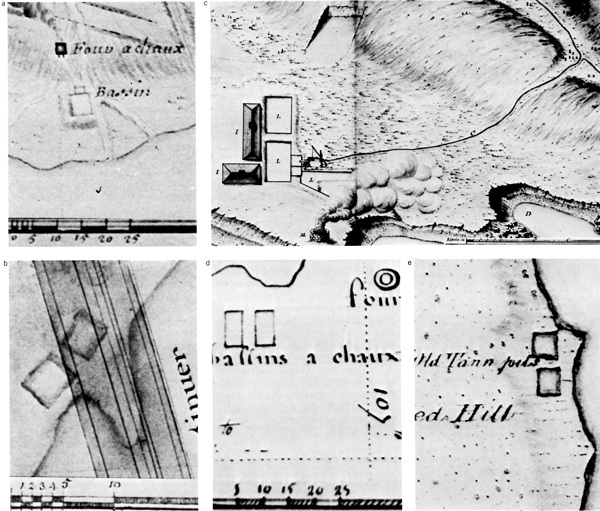 25 Historical drawing of slaking pits at Louisbourg.